(Omaha, NE) — The City of Omaha pothole patrol is accepting pothole complaints for the Spring roadway repair season. The Public Works Department, is taking specific street complaints online here. 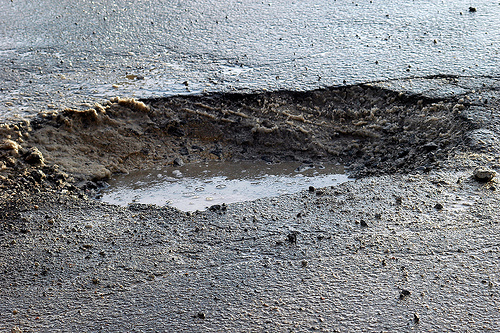 Potholes occur when pavement freezes creating tremendous pressure on the roadway.